It is said that in 1643, a Confucian scholar and academic, Hayashi Goto, named Amanohashidate, Matsushima, and Miyajima as the three most beautiful views in Japan. Today the spots are still as revered, so why not get along and see what tourists for centuries have been flocking to see. Located in the town of Miyazu in Kyoto Prefecture is a sand bar known as Amanohashidate, which translates roughly in English to ‘bridge in heaven’. The pine-tree covered sand bar is about 3.5 kilometers long and stretches across Miyazu Bay. The popular view can be seen from hilltops at either end of the bar, and cable cars and chairlifts will elevate you to the best viewing positions. Legend has it that the natural landmark was once a ‘ladder’ that connected heaven and earth. This tale has spawned an odd tradition that calls for visitors to the viewing platforms to turn their backs on Amanohashidate, bend over and then look back at it through their legs for an inverted view. Doing this will make the sandbar seem like it is indeed a ‘bridge’ to heaven and is said to bring the viewer good luck. 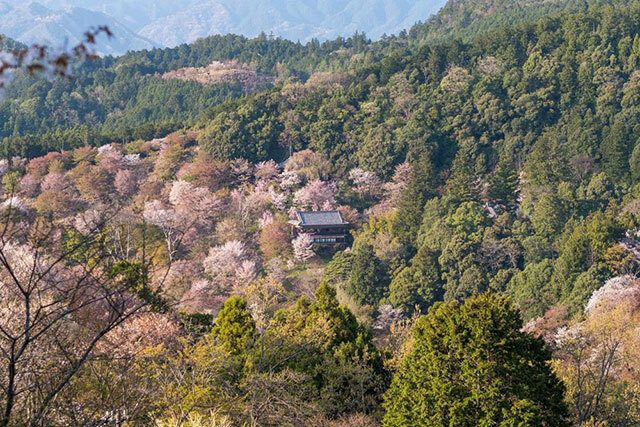 You’ll want to be committed as it’s a two hour train ride from Kyoto or Osaka, but the surrounding area has a number of temples as well as local wineries and a sake brewery to keep you busy. 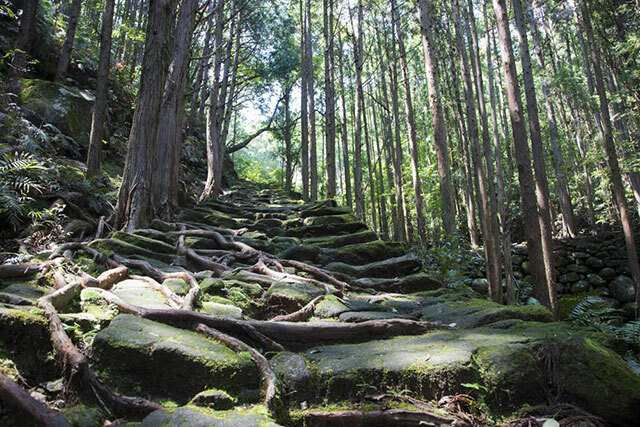 Take the Japanese word for pine (matsu), pair it with the word for island (shima) and you get the next view on the list. Matsushima is actually a cluster of over 250 islands covered in pine trees in Miyagi Prefecture. These islands took the brunt of the tsunami in 2011, lessening the damage to the coastal area. The region is not far from the city of Sendai, and given its famous ranking, getting there is very easy with plenty of trains and buses. Once you are there, you can choose to get a bird’s eye view of Matsushima Bay and its islands from one of the surrounding hills. The four most popular spots to do this are Toyama for the ‘Beautiful View’, Otakamori for the ‘Magnificent View’, Tamonsan for the ‘Grand View’, and Ogidani for the ‘Enchanting View’. Collectively, they are known as Matsushima Shidaikan, meaning the 4 most wonderful views. If you’d prefer to get up close and personal, you can join one of the tour boats that cruise around the bay. Tours are generally an hour long and costs vary depending on which one you choose and where you are sitting on the boat. Some cruises stop for a BBQ on one of the tiny islands and if you enjoy oysters (and they’re in season) then this is the tour for you as they are a local specialty. 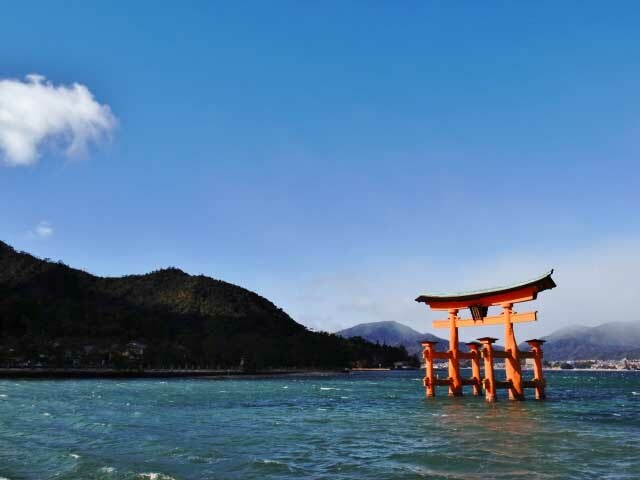 The final view on the list, and perhaps our favorite, is Miyajima, officially known as Itsukushima, an island about ten minutes by ferry off the coast of Hiroshima. The island is a relatively unspoiled treasure, well deserving of its World Heritage listing, with lush forests and an abundance of wildlife including the famous deer that walk freely about. There are several tourist attractions worth visiting if you are there including Daishoin Temple and the stunning Momijidani park, but the main attraction and the reason for its ranking is the ‘floating’ torii (gate) of Itsukushima Shrine, which is also one of the most iconic images of Japan. The current torii has been in place since 1875, though there has been a gate at Itsukushima from 1168. At high tide the gate appears to be floating but at low tide you can wander out to it. Whether you prefer to visit the gate during the day, or in the evening when it is lit up by powerful lights, it’s our guess that you won’t be able to stop taking photos of its timeless splendor!